While often times, people prefer to travel and explore new destinations in groups, (because it may seem like the safest choice, perhaps even more fun-filled) we are, as of more recently, seeing adventure seekers break off from the norm by taking what some would deem a “bold step” – going at it solo. Why would anyone prefer to travel all alone devoid of any company? might there be any comfort in doing so? I would like to think that there are people out there who solely enjoy the experience of discovering and exploring new places by their lonesome. It might be a slight concern for some that there is “no safety in numbers per se” when you plunge yourself deep into solo travel but the benefits far out way the concerns. Yes, you can be your own master when you are alone. You are not answerable to anyone if you stay awake till late or wake up late. You are not forced to go to places that you do not wish to visit or do things for someone’s happiness. You can do something only that pleases you. You get a lot of ‘me’ time. This is really important. If you visit with kids, you need to plan according to them which can take a lot of your time. Doing things that you have never done without anybody’s help will surely boost your confidence. Solo travelers have to book tickets and hotel rooms all by themselves. They have to find about other facilities and inquire about everything from others on their own. This helps them improve their communication and hence their confidence. When travelling in a group every member’s opinion and likes and dislikes have to be taken into account. Someone has to forgo something for the sake of others. This compromise may rob the fun of the outing. But when it comes to solo travel, planning revolves around you. So, you can decide where you wish to go, when and how. The enjoyment factor will increase manifold. Traveling alone does not mean that you do not speak to someone. Yes, you can add new people to your friends’ list along the way when you share your thoughts and experiences and other things with them. This increases the friendship. This is solely your choice. In a group, it may not be so. You may have to give up a lot. Going about alone in a strange land amidst strange people may not be easy. You may have to learn a new language to mingle with the people. You may have to learn to eat and live like the local people. This will teach you a lot in life. These experiences will help you to grow and mature and help in nurturing your relationships. A group decides to do things with a majority vote. A single voice crashes down. You have to go to a museum or a national park even if you wished to go to the beach instead. The whole trip you just went by someone’s wishes. Your wishes were curbed and that diminished your fun quotient. A solo traveler has freedom to go as per his or her wish. It is really important to know your potential and also your weaknesses. Only when you are on your own you can know about this. You are free to do what you wish. There is no pressure and reduced stress. Your performance increases and so does your efficiency. You will be surprised about yourself learning that you can accomplish a task which you dread doing. You can learn to value many things when you are all on your own. A person who is a spendthrift and does not care about money may learn to value it especially in a new land when there is no one to help when you are short of money. This will teach you to manage your finances better. You will also learn not to spend it on unnecessary items. You can learn to observe things better when you are alone. You need to be alert and manage everything on your own. You become responsible and also learn to take care of yourself which you may have not done all your life as someone took this responsibility. Increasing your observing skills will make you a better person. For many people gratification does not come easily. When travelling alone almost all wishes get fulfilled and a sense of satisfaction creeps in. This feeling of gratification helps a person to grow up and makes him or her calm from inside. You tend to understand others easily and can build relationships easily. If you are yet to attempt solo travel, try it once and learn more about yourself. Know about Rohit Agarwal’s take on travel on the blog Trans India Travels. 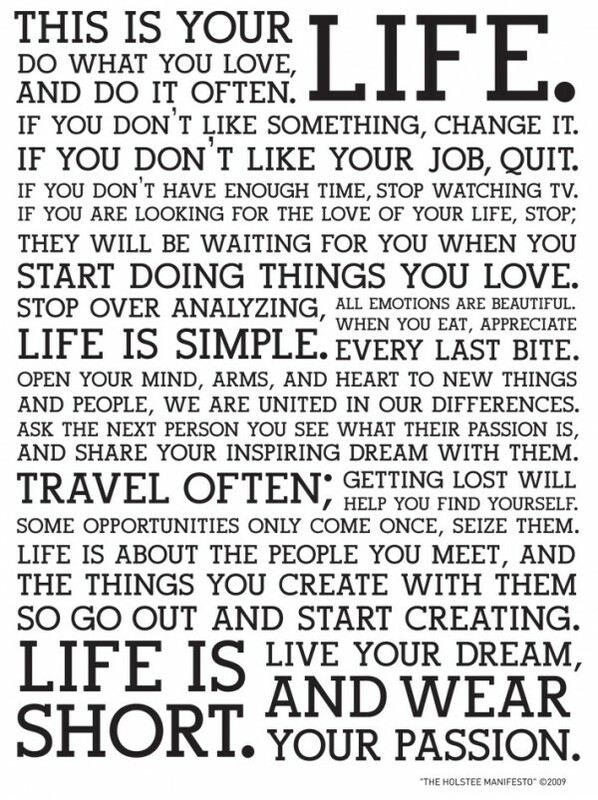 Whilst we all, overtime get bit by the travel bug, interests differ in relation to the sort of adventures we seek out. “Soaking in sun by the beach,” sort of vacation isn’t everyone’s cup of tea! If it doesn’t involve some heart pumping and loss of breath, then there’s no point to it. An adrenaline rush-free adventure for some people is the worst! This segment of adventure seekers is seemingly the reason behind the rise of outdoorsy, adrenaline pumping adventure providers in the country; The Forest Adventure Center being one of them. Located in the heart of the Aberdare Ranges, in the Kereita Forest, Kiambu County, The Forest offers thrill seekers a playground of sorts. The center’s accessibility – it’s only an hour away from Nairobi City – quickly caters to your urge to burst headlong into the great outdoors. For adrenaline junkies, being here is akin to a kid in a candy store. Whether you get your kicks mountain biking, ripping through the beautiful Kereita Forest or riding through the nature trails on a mighty horse, all we can say is that the Forest more than makes up for an otherwise “boring” laze at the beach. We bet you by the time you are done scrolling down the list of activities offered at The Forest, you will have had it at the top of your bucket list faster than we can say…Let’s head to Kereita! Feel the rush of a world class adventure as you fly a total of 2.2 kilometers over spectacular views of forest canopies, guided by professional instructors maintaining the highest European Union safety standard regulations, with a carrying capacity of a maximum weight of 115kg and minimum height of 1.4m. Fun fact: The oldest zippers yet at the Forest have been an 84 year old male and an 81 year old for female! Pick your team, get kitted out and start dodging… shoot or be spluttered in sticky paint in the most exhilarating activity at The Forest. Ever pictured yourself as part of Robin Hood or the hunger games’ cast? Well, daydream no more… bow and arrow in hand, The Forest gives you an ample opportunity to test your “hero” skills. Got good aim? Let’s see if you can really hit the bull’s eye! The Forest’s experienced instructors will train you to become a master archer in no time on their dedicated range. Fair warning!! Archery can be addictive. Enjoy kilometers of enchanting trails in nature on mountain bikes as you inhale crispy mountain air and soak in sweeping views. The Forest’s qualified instructors are on standby to fit you into the right mountain bikes and helmets. Looking for that extra zing? Try the newest first ever Electric bikes to be offered in East Africa. Ride through those banked corners with that extra jolt of power. Discover your adventurous side by zooming through The Forest on off road capable Forest Rovers, guided by professional instructors while maintaining the highest level of safety and fun. A few minutes to practice riding and you are ready to go. Inspiring and informative, a guide leads you through the forest and reveals its secrets. Give back to the future by planting indigenous trees. Love for fish comes alive at the Gatamaiyo River. Bring your own fishing gear and cast your rod to make a catch. Best done in the morning when the fish are hungry. Play a game that combines the distinction, elegance and precision of Golf with the passion, energy and fun of football in a marvelous sport full of life. Try your best shot and putt a football with the fewest kicks possible. CHALLENGE: Can you get a hole in one? The Forest on a horse back WOW! This activity is available to experienced riders as well as first timers. Enjoy star-lit nights at The Forest in a serene and secure environment sitting round a campfire. Each camp site has its own guards, fire-wood, pit latrines and bush showers. Make your camping experience memorable! Talent wins games but team work and intelligence wins championships. With custom made activities, The Forest facilitates coming together as a family, group of friends as well as enhances cohesiveness and team work in the office. The Forest has made the extraordinary nature in its reaches accessible to thrill seekers through endless numbers of trails and adventure pumping adventures. What’s even more exciting about The Forest is that all activities on offer are pretty affordable and well worth every dime. This center offers child-friendly adventures too! Alongside the affordable wide range of activities that will cater to your spirit of adventure, the Forest also affords you finger licking delicacies flattering to your taste buds. That said, the Forest Adventure Center is an absolute must-visit with guaranteed heart-thumping and total adrenaline rush! Happy New Year! New Year, new things; yes I know that sounds so cliché but just oblige us here. 2018 has so much potential; places to go, people to meet and new experiences to try. Even if you are working off of a set bucket list, if there’s but one experience you need to try this year, it should be the safarisharing experience. Safarisharing opens you up to a whole new Kenyan safari experience. The dynamic that the “sharing principle” brings not only drives you off the beaten path to sample the premier of wildlife safari, you also get to cross paths with multicultural individuals eager to share the same unforgettable experience albeit soak it up differently. Driven towards a more responsible and sustainable tourism, safarisharing – the brain child of Jorrit Kooi a Netherlander who’s had the opportunity to live in Kenya and explore East Africa – is an independent safari platform built around group travel with the promise of affordable unique experiences. The agency, which is based in the Netherlands, appeals to the lone traveler looking to switch things up by finding some travel buddies to go on safari with but finding it a bit tough to do. As a matter of fact, difficulty in booking a spot with a group on an existing safari is what realized the inception of this platform in the first instance. As a result of the founder’s unfortunate experience, individual travelers are now able to join other groups of travelers for an existing safari departure. As the first front-to-end ecommerce platform in the African safari industry, safarisharing brings together individual travelers seeking to experience safari in East Africa as a group. It also seeks to incorporate educational trips to conservatories as well as engage in cultural initiatives that raise awareness on varied issues that affect east African communities alongside the classic safari as part of their focus on responsibility & sustainability in the industry. Booking a seat with safarisharing assures you of a fair price, loads of fun with great travel companions and a unique more sustainable way of travel through the ‘sharing’ concept. This concept is not limited to travelers only though, safarisharing offers suppliers a great opportunity to generate additional revenue by putting up their spare capacity and unused seats of their safari vehicles for use. Safarisharing plunges you into a world of anticipation; you never know who you are going to meet or what level of Camaraderie is going to be formed from this experience. That’s what makes this platform so exciting. Plus, you get to kick back and enjoy your safari without all the fuss of planning. Peak season is fast approaching. If you haven’t booked yet, Dennis Carruthers is happy to let you in on tips to help you navigate this beautiful country without breaking the bank. #1. Don’t travel at peak season if you can avoid it. So we know the mention of peak season would suggest that you get right on it and book your travel before you are left out of the action but to be honest, the best time to save money on travel to Kenya is off-season on the tourist calendar. The country has tropical climate throughout the year, so anytime goes. Unfortunately, this might also mean missing some engaging experiences. The peak season falls in mid June through October (The best time for safaris and the famous wildebeest migration takes place in July) and mid December to February. Individual costs are higher when you travel solo. You will still pay the same for things such as taxi fares and guides. A shared tour also offers the advantage of shared costs. Service providers such as safari operators will still charge you for a dedicated guide and vehicle when you travel alone. You can save on the accommodation budget as well as meals when shared. Additionally, group tours carry more bargaining power even on the ground. Tour operators frequently run discounted campaigns and specially organized tour packages. Take advantage of these, as they are cheaper than standard rates. Expect minor sharing challenges. For example, a tour operator may decide to pack eight passengers in a van, the standard tour vehicle, instead of the usual six. This lowers the cost as you pay per seat and not for the whole car alone. 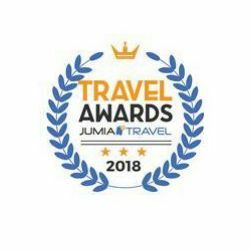 Kenya offers excellent urban hotels such as the Intercontinental Hotel and the Nairobi Hilton alongside two and three-star establishments with elegant facilities and service. Additionally, there are numerous luxury camps and lodges, but since we are in the business of cost saving, why not book yourself a chic budget boutique hotel or better yet stay at a rental, shop at the farmer’s market, live like a local and save on your meal tab. Kenyans are also very hospitable people and if you are lucky, you might just land yourself a host for your stay – try couchsurfing. Feel free to also compare your dining options away from your accommodation. Which sights excite you the most? How do you want to get there and for how long? A layover of a few hours is different from a week’s safari. Some destinations require travel outside of the major cities e.g. Lamu, Maasai Mara Game Reserve, and so on; Batch together destinations within the same locality to maximize time and save on cost. Knowing the average price of key services will increase your confidence. In Kenya, you can bargain the prices on any product or service unless the provider firmly insists it is fixed, which is rare. Brush up on your bargaining and negotiating skills. For example, a day’s meals should cost you around a $10 or lower if you try local meals and double that for a day’s alcoholic drinks. Hotel vans and tour operator services can get expensive. Although there is no government-run public transport system, locals use numerous alternatives. These include urban public transport vans, cross-country buses, and a revamped passenger rail service. Things to note: The local currency is the Kenya shilling. One US dollar is roughly a hundred Kenya shillings. D Scott Carruthers, a graduate of Western State University loves photography, exploratory travel and blogging about his adventures and journeys. There’s only one thing better than an actual wildlife safari adventure, and that’s going through all your photographs on your return. Shooting photographs of wild animals is an art form and it can be extremely gratifying when you get extreme close ups of the big five or an action shot of a kill. Not only is it cool to boast to your friends about what you’ve seen, but you’ll have all these amazing memories of your trip to look back on forever. Any African safari produces the perfect opportunity for memorable photo taking. Here are some photography tips for your next safari. Make sure you have a great zoom lens on hand in order to capture shots that are further away from the vehicle than a standard lens can capture. You don’t want pixelated photos, but want to be able to enjoy every detail down to a lion’s whiskers. Anything from a 200mm to a 500mm is your most popular choice and is still manageable and easy to carry around. What could be worse than spotting an incredible sighting such as a leopard in a tree or a mother hyena feeding her young… and you realise that your memory card is full? Frantically trying to delete photos from your memory card could result in you deleting something worth keeping. A dead battery is the absolute worst and it’s totally avoidable. Ensure you have a spare, charged battery and memory card in your camera bag to avoid any missed shots. Your safari guide or ranger will have expert, intimate knowledge of the bush and will – in most cases – be able to tell when you’re about to encounter an animal. They can track animals from kilometers away and also hear or see them long before you do. Alert them to the fact that you’re seeking that elusive photograph and they can give you a heads up when the opportunity is approaching. They can also position the game vehicle favorably for your photographic benefit. Make sure that the shutter speed and aperture are both ready and set for you to take photographs at will. Then when the moment arises, you simply need to perfect your composition, focus and snap the shot. If you’re not comfortable working with a manual setup then you can always set your camera to automatic and simply point and snap as and when you see the perfect moment. It sounds counter intuitive, but the flash can blind the animals temporarily, which can be really dangerous for prey and tame game. It also makes the animals eyes come out red or white in the photograph, which isn’t very appealing. Take a few practice shots before the drive at different angles and with the light coming from different directions. Make sure you’re happy with your setup and that you’re aware of how the direction of light and angle of the shot will affect your end product. The sun behind you will always produce the best shots, but isn’t always possible. Take full advantage when conditions are perfect and take as many photos as you can. Of course you can always edit your photographs afterwards, but the best shots are those that require minimal tweaking. Guest Post courtesy of TourRadar, an online marketplace for travelers to compare and book multi-day tours. 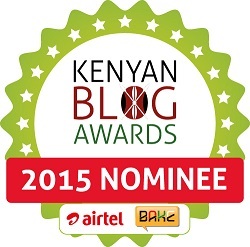 Nairobi is probably the most popular destination in Kenya, and with good reason. The city known as a place of cool waters is famous largely for blending the country’s largest urban area with the nature that brings so many tourists to this part of the world. As such, it’s known largely for outdoor attractions: the national park, the Uhuru Gardens, the giraffe center and elephant orphanage, and even some of the authentic markets. These are the main draws to the city. If you happen to visit Nairobi, however, there’s always the chance that the weather will keep you indoors, or that you’ll simply be interested in breaking up your trip with a day away from nature exploration. In such a case it helps to know about the indoor attractions that are available, even in a city known largely for nature. Because there are so many natural wonders to enjoy in Kenya and the surrounding countries, some might be surprised to learn that this country is actually particularly well known for its numerous art galleries. The Banana Hill Art Gallery in Nairobi showcases the work of over 70 artists and sculptors largely from Kenya and the East African region. Having been opened some 11 years ago, the art gallery makes for an excellent exhibition of contemporary African art. Paintings and sculptures alike show off some of the best tendencies of artists from this part of the world, and make the gallery a perfect place to explore on a rainy day (or otherwise!). You don’t exactly think about ice rinks when you imagine a vacation to Kenya. Nevertheless, ice skating is very much an option, and can be a great change of pace from exploring the city and the surrounding country. Particularly if the weather is just getting a little too hot for you, you might want to duck in for a few hours of skating. This is a casino just outside the main part of town that has it all: table games, slots, jackpots, roulette, etc. The slots in particular will be recognizable even if you’re not much of a casino person. This is because we’ve seen a lot of these slot games make a successful transition to smart devices, and therefore into mainstream gaming culture. At Finix, you’ll find some of these newest and most popular games, in addition to a generally festive atmosphere that’s always a nice break from the city. You don’t have to put much money down to enjoy the environment (and perhaps a few cocktails as well). As stated, the area is known for a lot of art galleries. But the Nairobi National Museum is less of a painting exhibition or a demonstration of contemporary art, and more of a tribute to Kenya’s history. There are outdoor attractions (a hiking trail and botanical gardens) for nicer days, but if you’re looking to duck inside for a few hours there’s a lot of fascinating art and history to be enjoyed. You’ll find paintings, sculptures, artifacts, and explanations of numerous pieces significant to Nairobi and Kenya as a whole. This is a restaurant in town, but a very unique one that international travelers in particular will enjoy. That’s because the menu is very authentic, offering African ingredients and preparations done to perfection. A lot of guests rave about the environment, which makes for an experience that is fun and intimate. It’s a terrific place for a bite to eat, and for a prolonged meal if you’re escaping the weather for a little bit or for any other reason. Kenya actually has about as strong a reputation for beer as any place in Africa. Thanks to the famous Tusker Lager, one of just a few African beers that are well known outside of their home territories. It’s not uncommon to see pictures of tourists enjoying this beer, or even to run into people wearing Tusker shirts, having traveled to Kenya at one point or another. As a result of the much savored kenyan brew, the brewing scene in the country has garnered great recognition which has seen smaller more custom breweries crop up. All the more reason beer lovers will enjoy Brew Bistro; a place where one can enjoy a larger range of Kenyan beers in a clean, modern, miniature brewery. It’s a very fun option day and night, and a nice way to enjoy yourself indoors. And then, there is the tuk-tuk. There’s no missing the tuk-tuk. 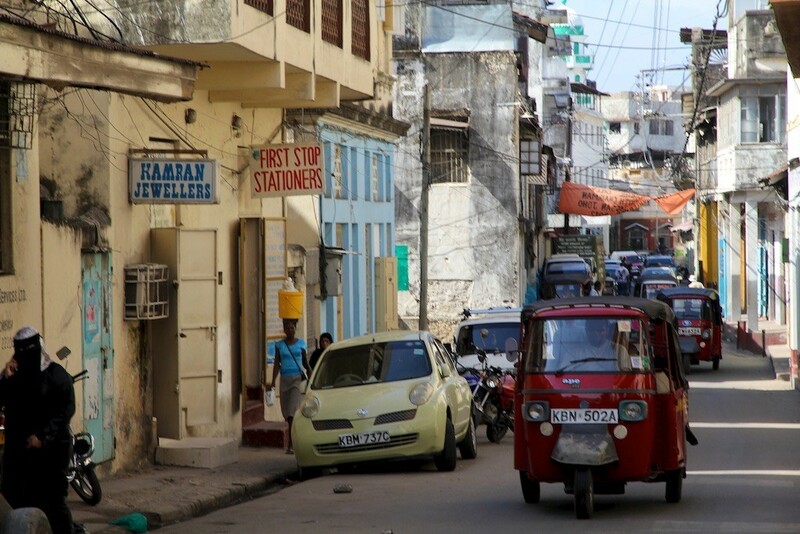 Swiftly maneuvering the old city’s narrow cobbled and congested streets, the little sputtering three-wheeled motorized vehicle has undoubtedly become very symbolic of Mombasa. They are everywhere! A multitude of them! 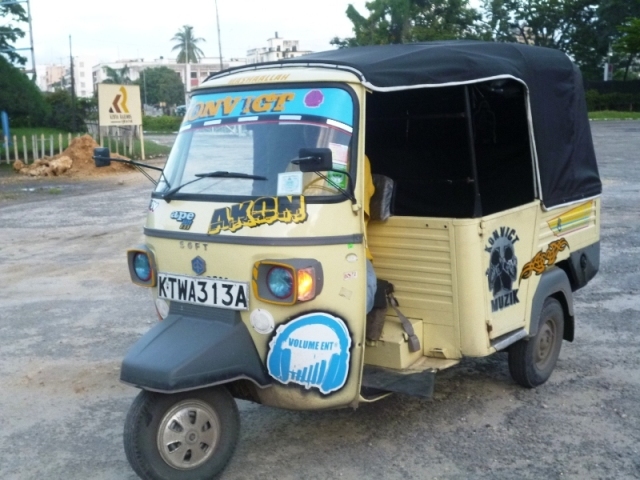 Preferred for their compact size and swift maneuverability, tuk-tuks make wheezing around Mombasa such a breeze. Their ability to negotiate tight corners and park almost anywhere is perhaps one of the reasons that locals favor them as a short-distance mode of transport which allows for convenient door-to-door service. Tourists would especially enjoy the tuk-tuk experience with their small canopy and windowless body providing for full view of the scenic sites while enjoying a breezy ride through the city at a much lower cost. This little three-wheeler with a capacity for three passengers (but just like a taxi, mostly boards one passenger at a time) has a little space at the back allocated for luggage and in case of bad weather, there’s a drop-down side flap that covers the windowless frame. You will also come to notice that tuk-tuks in Mombasa have a personality of their own, no two are the same. Well of course there are those drivers who prefer to stick with the tuk-tuks original outlook whereas others tend to get a bit more creative with their autos; tricking them out with bumpin’ speakers, flashing neon, graffiti amongst other forms of ‘bling’. With the much expediency that tuk-tuks offer, why would anyone have a problem with them? The tuk-tuk invasion if you like, has primarily been a thorn in the side of the county government for a while now with several attempts to steer them clear of some parts of the central business district having been futile. Not only are they noisy but they are also believed to be a major contributor to the congestion of the city’s main streets. Getting rid of them has however not been an easy feat. This is especially so when a large number of passengers utilize them to traverse from one point to another within the CBD itself. Did I mention Noisy? Many residents tend to fume about the noise pollution and rightly so! The puttering noise that these hardy vehicles make is simply unbearable! Especially if you have to listen to it every second of every day bearing in mind that Mombasa city is not only a business area but also a residential area that houses a large number of locals. Sound proofing makes for a good investment if one resides within the city. In case you are yet to embark on your own tuk-tuk experience within Mombasa city, we’ve listed some tips below to help smooth along your first encounter. Don’t just board and pay at your drop-off point. Have you ever boarded a tuk-tuk only to be asked to pay an outrageous amount upon alighting? Unless you are aware of the tuk tuk fare, do not attempt the “board and pay later” tactic. As you will learn fast, locals have a way of sniffing non-locals so to be safe, always settle on the fare before you climb aboard, otherwise you will find yourself having to shell out a hefty charge at your destination. Please note that some drivers will tend to note give out the rate firsthand after you ask, responding with “just get in” instead. Be persistent and ask again until they respond with a satisfactory rate. Familiarize yourself with route fares. Find out the local rates before hailing a tuk-tuk. It shouldn’t be so difficult to realize the appropriate price by asking the locals – of course some of them will give you rates above the norm but mostly you should be able to get the correct price point. Be careful not to ask the driver the distance or duration of the destination, if they see that you are new to the area they will definitely lie and overcharge you for a distance that you may not have needed to get a tuk-tuk in the first place to get there. It’s also good to note that the locals of Mombasa are majorly friendly and readily willing to assist (unless of course for some elements whom I can neither confirm nor deny to be native locals), so plenty of times responses given should be pretty legit. Familiarizing yourself with the price-points gives you a good advantage at bargaining where you can easily talk the drivers down to a certain level that is satisfactory to both of you. It’s also okay to walk away if you feel the fare is super high. There are plenty of tuk-tuks lined up so if one driver doesn’t budge another one will. Where to hail a tuk-tuk? Certainly, not in front of a fancy restaurant or resort I can tell you that much. Some tuk-tuk drivers have a habit of sizing people up and if they pick you up at a somewhat upscale location then that is some extra change for them. If you intend on using a tuk-tuk and are staying at a hotel, do not let the driver pick you up from the hotel’s entrance instead walk to the main road which shouldn’t be very far away. This will give you a better chance of striking a good bargain. It is therefore more convenient to tell the tuk-tuk driver the name of the place you are going to instead of the address. The drivers have familiarized themselves with most of the hotels, touristic attractions, market places, office buildings and so on. If you give them the address, you will definitely get lost. That’s a guarantee! Once you’ve gained the confidence and are now familiar with the tuk-tuk ways, just hop on, tell the driver where you want to go, give the fare and hop off. It’s that simple. We do not however promise you of a smooth ride all the time; some streets tend to be bumpy, sometimes with potholes and never ending stream of pedestrians. Just hold on tight when the tuk-tuk bounces from one lane to another as some drivers tend to be oblivious of the fact that they have passengers on board. City life tends to get us engulfed in so much that we forget to appreciate and enjoy the little things in life. 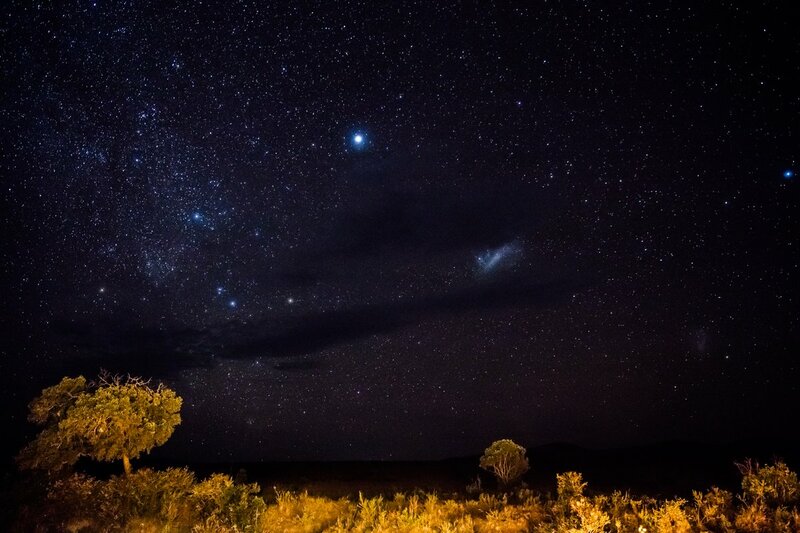 One such little thing is simply looking up at the African night sky, undoubtedly one of the best things you could ever take time to do. The city robs us of this experience, what with huge skyscrapers, light pollution among other distractions. To be honest most of us only get to appreciate the existence of the moon let alone the stars when power goes out no?! 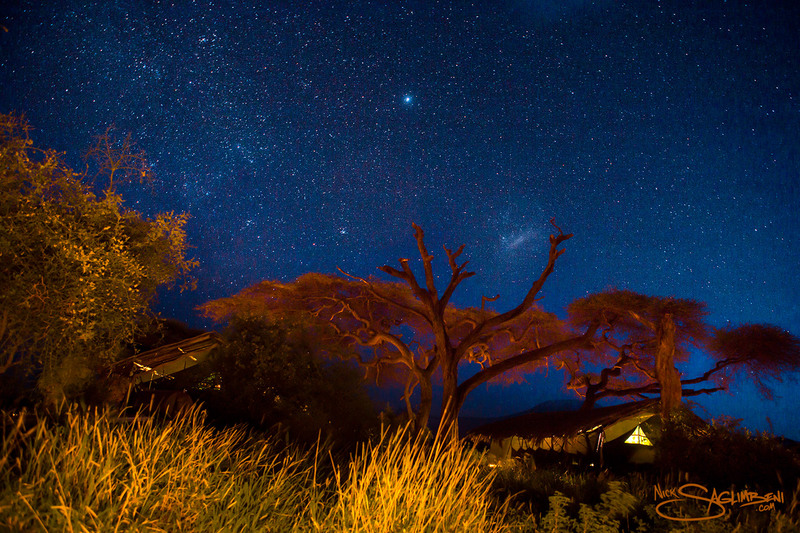 If you are yet to marvel at the beautiful African night sky, your best bet is to travel to the remote country areas. Something the astrophotographers below got to appreciate. 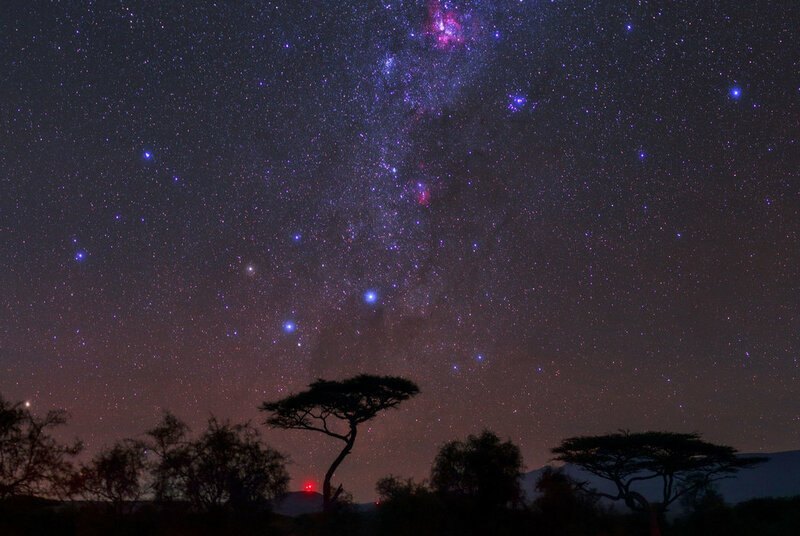 We are just glad they got to bring back souvenirs from their Kenyan stargazing adventures courtesy of their night captures. 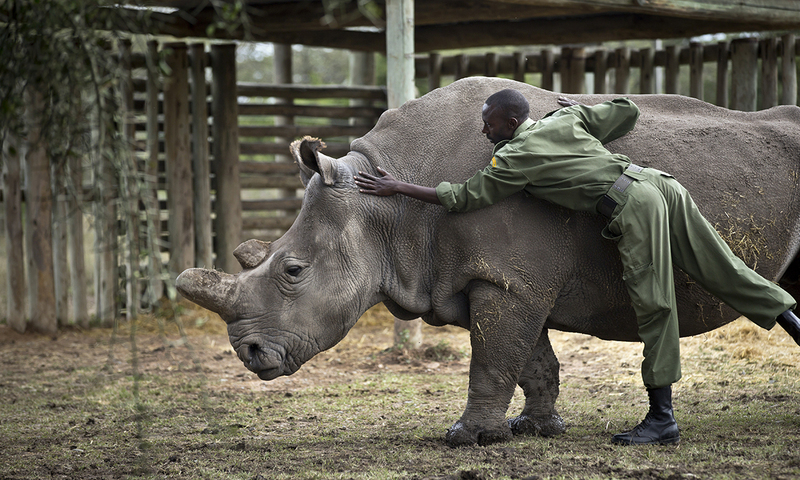 Are you aware that there are only three Northern White Rhinos left in the world? yes! one, two, three! They all reside in a natural habitat in Kenya. The three; one male, Sudan and two females, Najin and Fatu, live under 24-hour armed protection at the Ol Pejeta Conservancy in Nanyuki. In addition to round-the-clock security, the conservancy has also put radio transmitters on the animals and dispatches incognito rangers into neighboring communities to gather intelligence on poaching. Round the clock surveillance is vital for these animals as conservationists are running against time to ensure that this subspecies does not go extinct. Seeing as Sudan is quite old, beside the fact that he is Najin and Fatu’s father and grandfather, respectively, his sperm, even if it was viable, risks the problems associated with inbreeding. Experts are now looking into alternative reproduction techniques, including in vitro fertilization (IVF) to try ensure that come the next decade Northern White Rhinos still roam this earth. This is the sad reality for the subspecies who’ve been driven to near extinction by money hungry poachers. The poaching is fueled by the belief in Asia that their horns cure various ailments and the trade is believed to be very lucrative. Whenever one is picking out camps and lodges for their next safari in Kenya, Nairobi as a destination barely comes to mind. Never mind the fact that Nairobi is the only city in the world to host a national park, many travelers hitherto only view the city safari experience merely as a transit option to the real bush experience. What if we told you though that the much sought out Hemingway bush and tent experience is right here at your doorstep? That you don’t have to go the extra mile, leave Nairobi, that what stands between you and your much desired safari is a mere 20 minutes or so? Because many safari lovers only use Nairobi as transit, not much effort has been put into establishing accommodations that offer these enthusiasts a full safari experience right within the city. One family is however trying to re-write this script. Launched early this year, Anga Afrika, a family owned and run establishment, seeks to ensure that you don’t have to leave for upcountry into the back of beyond in order to experience life under the sun and the stars, to experience the story of Africa in the wild that is much told. 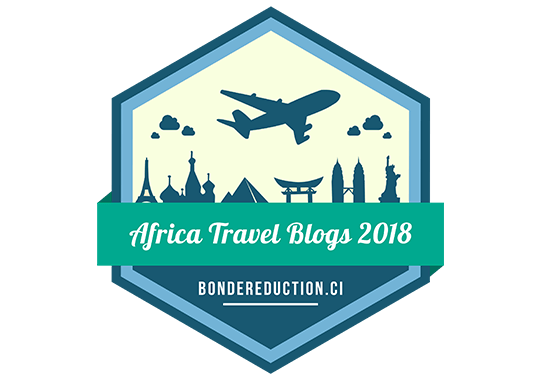 Sidney Trompell, one of the owners of Anga Afrika introduces us to the whole idea behind the establishment and fills us in on why it would be such a shame if you missed out on the experience offered. How long have you been open and what was the inspiration behind owning Anga Afrika? We opened in the beginning of the year, although it was already years in the planning. The special thing about Anga Afrika is that every little detail was very thought through. We took our time. My family and I always liked Karen because we are generally people who prefer peace and nature over the noisy turmoil that is often Nairobi. After we had finished building our home we wanted to share our little ‘island’ with people who share our mindset and philosophy. That is how Anga Afrika came to be. We feel that luxurious tented camps embody the Kenyan holiday experience the best and we wanted to provide our guests with the most authentic “out of Africa” experience. Why the name Anga Afrika and what should people expect when they get here? 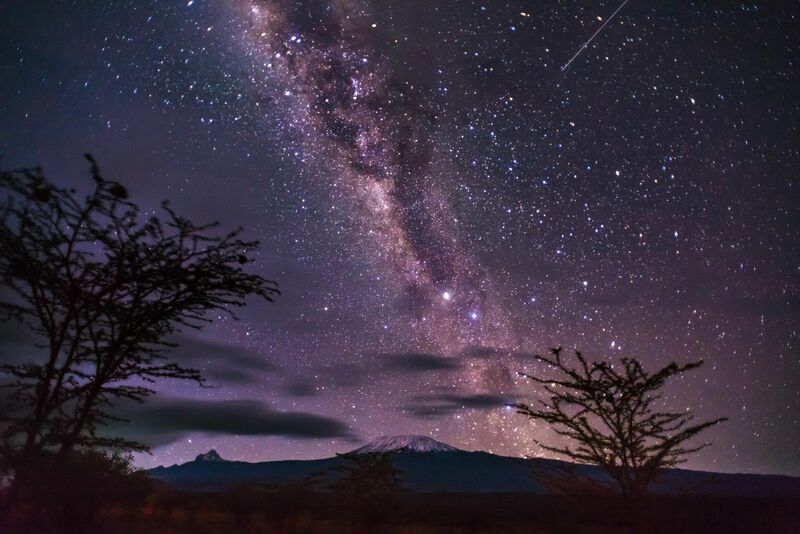 Our place in Karen is 1850 m above sea level; therefore relatively close to the stars, hence the name Anga Afrika. Also, since our tented suites are made up of canvas, which really gives our guests the feeling that they are truly sleeping under African skies. The view of the stars on a clear night is breathtaking. The sort of experience you offer is rarely found in Nairobi, why set up away from major safari destinations, why Nairobi? What is unique about Anga Afrika’s location? The special thing about our location is that it feels like you’re 100’s of miles away from Nairobi, but really you can be in the city centre within 20 minutes. It’s ideal for people who want to be immersed in nature as well as for Kenya first timers who want to experience Kenya in the most authentic way before embarking on major safaris to Masai Mara, Amboseli etc. Also, since our home is literally next door we try to connect with our customers on a personal level, build relationships and make sure that if they need anything that there’s always someone they can talk to. We also enjoy meeting new people from all around the world and exchange experiences and stories with them. What authentic local experiences will guests have access to here and what types of guests do you expect to attract? 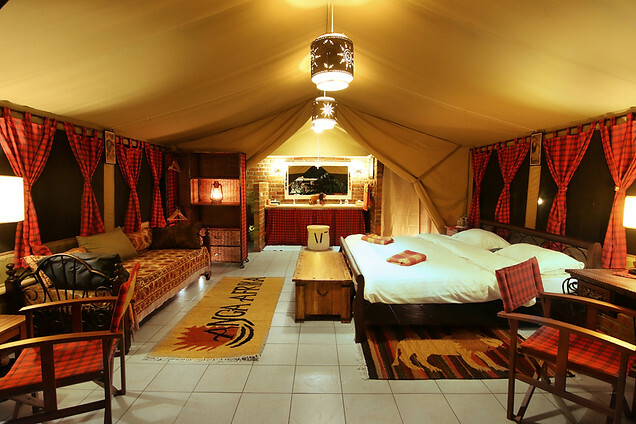 First off, the experience of living in a tented camp as opposed to a hotel. This is a huge deal. I remember the first time I went glamping in the Masai Mara with the family and it was an unforgettable experience. Therefore we think that this type of accommodation will be very memorable for a lot of people. We also organize tours for our guests to local attractions such as the Giraffe Centre, Nairobi National Park, David Sheldrick Wildlife Trust and the Karen Blixen Museum. To maintain a certain standard of exclusivity, we hope to attract people who have a strong appreciation of nature, peace, and the love for Kenya. Profit maximization isn’t our first priority, but maintaining a certain standard, living by our values and providing the best possible African experience is. We truly enjoy what we do here! If you could describe your property or the glamping experience you offer in three words, what would they be? What makes Anga Afrika a destination in itself? Definitely the altitude…The cool temperatures in the morning, the fresh air, jogging in the morning fog, enjoying a cosy campfire in the evening…it literally gives you the feeling that you’re living in the African mountains such as Mount Kenya or Aberdares. A stand out meal in your restaurant, what would you recommend? We have a lot of outstanding dishes at our restaurant, but George, our chef makes sweet potato bread that is to die for. A lot of our guests go home with the recipe because it is simply that good! Any other experiences you can recommend in the area for a combined trip when staying at Anga Afrika? David Sheldrick Wildlife Trust is a must. Seeing orphaned elephants taken care for and interacting with them gives you such a fulfilling experience. You can even adopt one if you are committed to support it for a long amount of time. Otherwise Karen Blixen Museum is a great place to learn about the history of Karen and how it came into existence, Giraffe Centre, where you can ‘kiss’ Giraffes on the mouth. Literally. There’s quite a lot you can do in our area and we are always more than happy to provide our guests with help and guidance to make this experience as memorable as possible. Attractions around: David Sheldrick Wildlife Trust, Karen Blixen Museum, Giraffe Centre, Nairobi National Park, Nairobi Animal Orphanage.